"There is a shift in energy consumption from the West to East. The US has become the world’s largest oil and gas producer after the shale revolution." "Over 6.4 crore households were given LPG connections in just three years under the Ujjwala Scheme. A ‘Blue Flame’ revolution is underway and LPG coverage has reached more than 90 per cent of the population," said Modi. 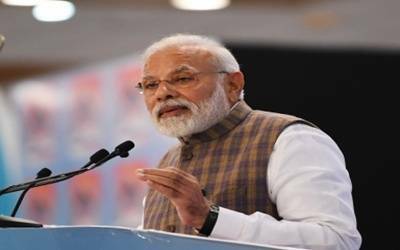 Noting that "energy justice" is a priority for his government, the Prime Minister said: "India’s World Bank Ease of Getting Electricity ranking had improved from 111 in 2014 to 29 in 2018."